Adventures in Phonics aims to teach the student the fundamental principles of phonics in a logical sequence, along with consistent drill and repetition of these concepts to insure comprehension. These courses cover short and long vowels, consonants, and consonant blends, as well as essential word-recognition skills. All About Reading is a fun and engaging program that starts with essential pre-reading skills and continues on to teach all five key components of reading. It contains everything your student needs to become a fluent reader for life! 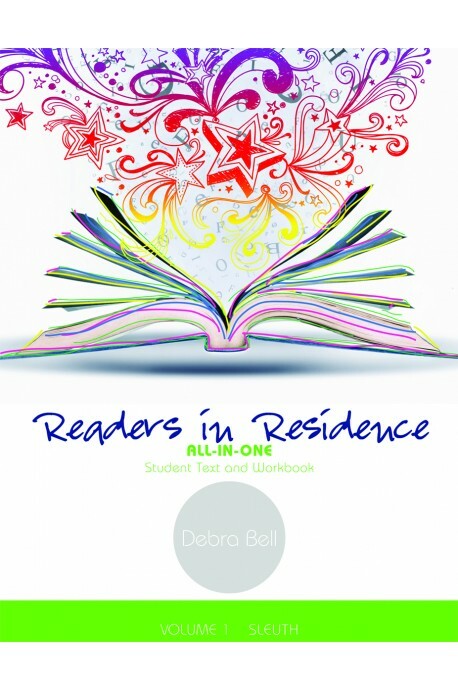 The Readers in Residence (RIR) series is a reading comprehension, literature, and vocabulary program. It may be used alone or in conjunction with the Writers in Residence series. Together the two programs provide a full year of language arts. These four readers are designed to complement Adventures in Phonics Level A. The first two readers emphasize single-syllable short vowel words. Simple consonant blends are introduced on a regular basis throughout the series. Each reader is filled with Christ-honouring stories that are one to three pages in length. They may be purchased as a set or individually. This delightful romp for young beginning readers unfolds over the 18 books of the series as Fred (age 4) and Kingie (his doll) go on an exciting adventure. These storybooks also teach colours, shapes, the word "STOP," and how to make mashed potatoes. These colourful readers use God's marvelous creation to reinforce phonics principles. Students will learn basic vocabulary skills as they are exposed to new words. A glossary of terms is also provided at the end. Produced by Christian Liberty Press. Using poetry, the reading portion of the Primary Arts of Language teaches phonics and whole words. Students are introduced to letters through letter stories and discover the vowel and consonant pairs that help us read. Daily games played during “Activity Time” reinforce the phonetic concepts so that a student can know them completely. Note: The Reading program should be used concurrently with the Primary Arts of Language: Writing program, which includes the letter introduction through printing practice. Click here to view an introduction to the Primary Arts of Language. Click here to view a video showing where and how to begin with Primary Arts of Language. Other books to help teachers and students.